Osmanthus spp. 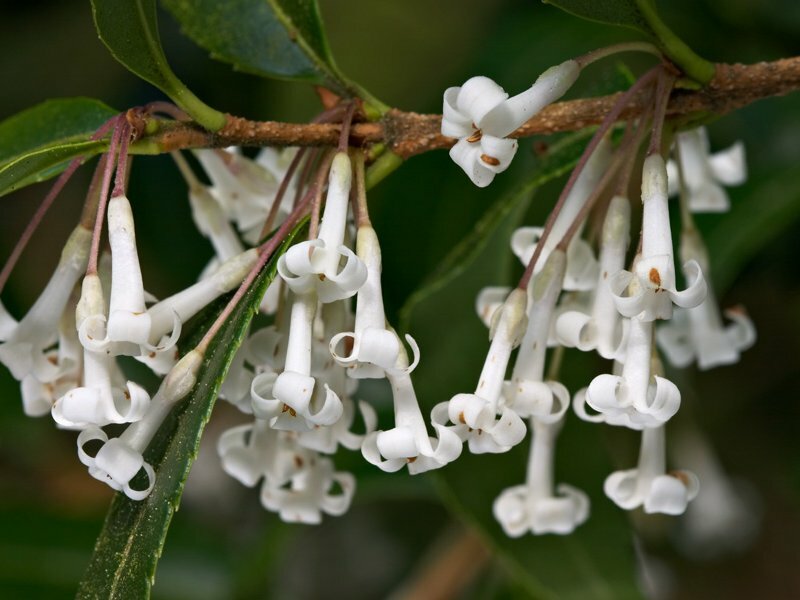 are known for their very pleasant fragrance; when you encounter one whose latin name means “sweet”, you know you’ve found one that is quite special. So it is with this particular plant, which can be discovered within the confines of the Asian Garden along the Cox Trail. Highly recommended. Peter Cox visited UBC Botanical Garden yesterday. Peter is the son of Euan Cox, for whom the Cox Trail is named after (for more information, read the History of Glendoick Gardens). We received this plant from the Royal Botanic Garden Edinburgh, collected in the wild via RBGE’s 1991 Makalu Expedition in Nepal. I imagine no one will see this comment as I realize this post comes from a while back. but, I wonder if this isn’t related to the hawaiian pua kini’kini? a WONDERFUL smelling flower also? Allison – no, they are not closely related, but I can see where you are coming from on the basis of flower appearance. Fagraea berteroana (PDF) seems to have slightly larger flowers (though one of the flowers shown in that file is gigantic compared to these).